A must read from The Appeal. Thank you to Charlotte West for her work looking at Washington state and our efforts to end detention for status offenses. You may know that I focus much of my work in the Legislature on improving the lives of children and youth in our state. I serve on the Ways and Means Committee that writes the budget. Among all of its columns and numbers are the programs we use to improve those lives; our child care system, our early childhood education programs, our K-12 education system, and our higher education institutions. We all recognize that the bright future for these children is linked to our health as a state and nation. 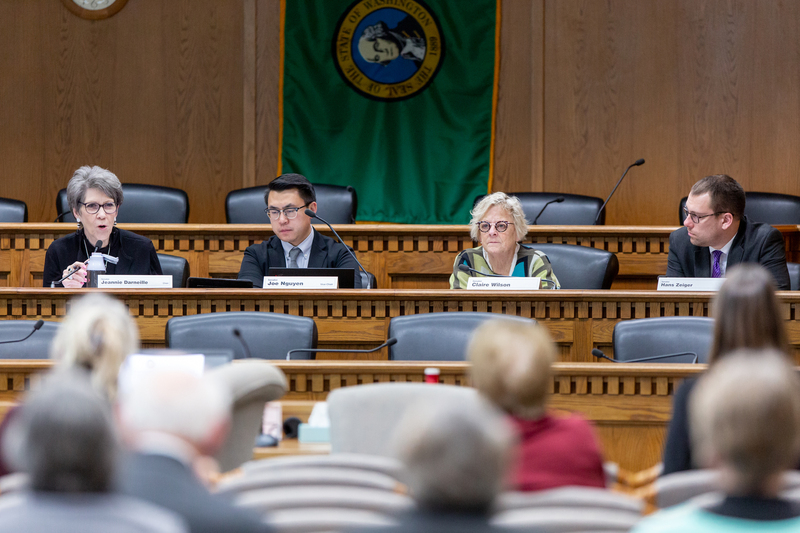 I serve on the Housing Stability & Affordability Committee, where we are working to end homelessness by increasing the stock of affordable housing in our state. 40,000 school-aged youth and their families are homeless or at immediate risk for homelessness. Additionally, I am a member of the Behavioral Health Subcommittee, addressing the mental health and substance use treatment for both adults and children. Finally, I am the Chair for the Human Services, Reentry, and Rehabilitation Committee, where we work on issues relating to children’s safety, foster care, and juvenile justice, as well as issues relating to public assistance programs and the adult corrections system. 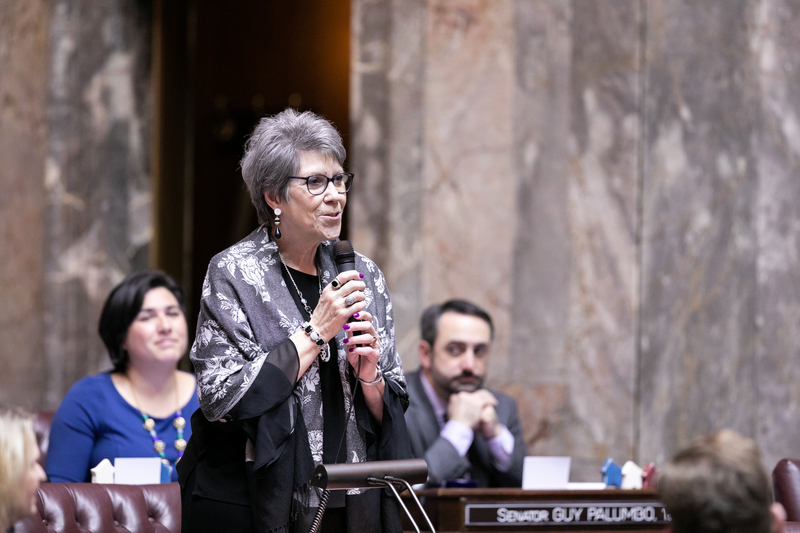 I wanted to spend a few moments writing about some of the justice-related bills that I have introduced this session and which have already moved from the Senate to the House for consideration. Initiative 593, which put our 3-strikes laws on the books, passed by a wide margin in 1993 to keep persons who have been convicted of three very serious crimes in prison for life without parole. While most of the many crimes listed in the Initiative are Class A Felonies or very serious crimes, Robbery in the 2nd Degree is neither a very serious offense or one that involves any injury to another person. SB 5288 would remove Robbery in the 2nd Degree from the 3-strikes list, so would not result in one of the toll of crimes that would result in a life sentence. The standard range for penalty would remain up to 10 years in prison and up to $20,000 in fines. Washington State juvenile courts currently incarcerate more children for what are known as “status offenses” than any other state in the US. A status offense is not a crime, but includes things like truancy, being incorrigible or oppositional, smoking, drinking, running away from foster care, or breaking curfew. The bill proposes to phase out the use of this federal allowance to jail children for these offenses. 26 states have already stopped this practice, and every other state jails fewer children than Washington. Over 800 children every year face jail time for these offenses; the bill would instead promote a service-based response to youth and families. This bill expands access to a successful program that has deferred or reduced the sentences for some parents. Instead of incarceration, these parents remain with or are reunited with their children. These sentencing alternatives involve intensive supervision, parenting guidance, electronic home monitoring, meeting contractual goals for positive interactions with children, and having no further infractions or criminal activity. This program has resulted in reducing recidivism rates while giving parents the ability to return to gainful employment and enjoy the benefits found in an intact family. Last fall, I was able to visit nearly 50 women prisoners who were transferred from the women’s prison at Purdy to the Yakima County Jail. I discovered that the conditions were deplorable and did not match the programming expectations and values of the State of Washington corrections system. The women were mixed with women in the general jail population, so coercion, assault, and tensions were very high. There was no programming. Many experienced anxiety so high that they were medicated. There was no accommodation for women with disabilities. The food was intolerable. The women had no ability to observe their religious traditions. I was very proud that my efforts to move these women to a better facility was accomplished with the Governor’s help within three months. But that experience raised my awareness that there was really very little effort to identify gender-responsive programming and that we must work toward the rehabilitative needs of women inside these facilities. To hear more about the topics I’ve been working on and the approach I have taking on these issues, please take some time to watch this week’s edition of Inside Olympia with Austin Jenkins. I appeared with Sen. Maureen Walsh to discuss many of the topics above. Lastly, I want to ensure you’ve been invited to our annual 27th Legislative District Town Hall taking place tomorrow morning. Rep. Jinkins, Rep. Fey, and I will be hosting a forum at the Eastside Community Center from 10:00am-12:00pm to report back on the ongoing legislative session and take your questions. Here is the link to the full episode of Inside Olympia talking with Austen Jenkins about justice issues! We’ve got so many important issues facing the Legislature this year, but we must continuing fighting to ensure our justice system is working for all. Thanks to Sen. Walsh for her thoughtfulness in our continued dialogue. Please join Rep. Jinkins, Rep. Fey, and I for a 27th district town hall on March 23rd. We’ll be gathering at the Eastside Community Center to hear from you and report back on the 2019 legislative session! Many of you may have received the 27th Legislative District newsletter in the mail. If you did not, here is the electronic version.